It’s pretty common to see the coin market awash in, say, Morgan silver dollars, especially when the market takes a tumble like it did earlier this autumn; that's when the price of silver plunged to just below $17 at one point. Investors who bought their silver coins when the precious metal cost $20 or $22 an ounce like it did earlier this year may be getting skittish and are offering their silver dollars for sale before, they fear, the bottom falls out. Buyers, on the other hand, don’t want to sit around too long and are buying as many silver coins as they can before prices climb back into the $20+ region. You see, deciding what to make of the slew of silver coins for sale is really a matter of perspective in the end. You could view this as your opportunity to jump into the silver bullion market while prices are affordable, or you could look at the flood of silver dollars for sale and say to yourself, “Gee, this sure looks a bit like 1980 all over again.” However, before anyone takes the Chicken Little approach and suggest the silver sky is falling, let's get some perspective on why 2014 is very much unlike 1980 in terms of the silver market. The market conditions and factors contributing to falling silver prices in 1980 had much to do with the billionaire Hunt Brothers, who cornered the silver market. This caused prices to climb from $6 in 1979 to $48 in early 1980. Silver prices soon tumbled to less than $10 in 1981 as a consequence of the Hunts’ bullion and stock market dealings. Many bullion forecasters think the price of silver will stay soft for weeks, perhaps months, to come. Certainly, nobody can predict what silver prices will be at any given point in the future, especially with global conflicts and tumultuous economic conditions. 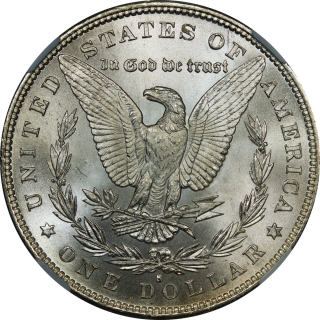 If you see silver dollars for sale that suit your coin collecting or investing needs, by all means purchase them. But keep you eye on the market day to day, and be prepared to act quickly – whether it’s buying or selling – should changing events warrant.